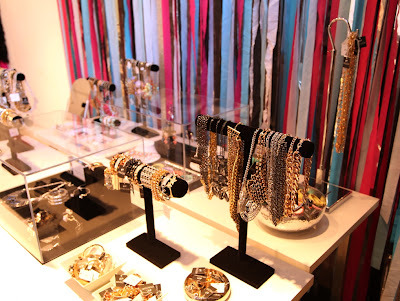 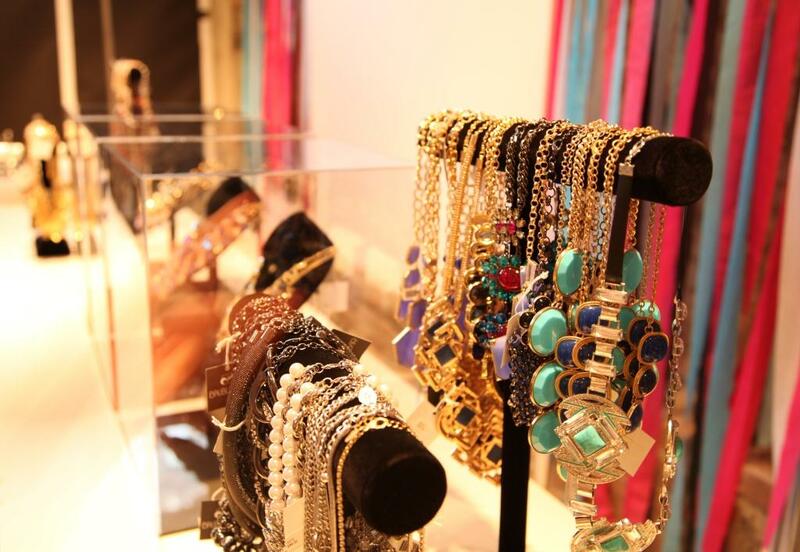 On Thursday, February 14th, BaubleBar & Bonobos are teaming up for Valentine's Day at BaubleBar's newest pop-up shop, BaubleBar Unwrapped. 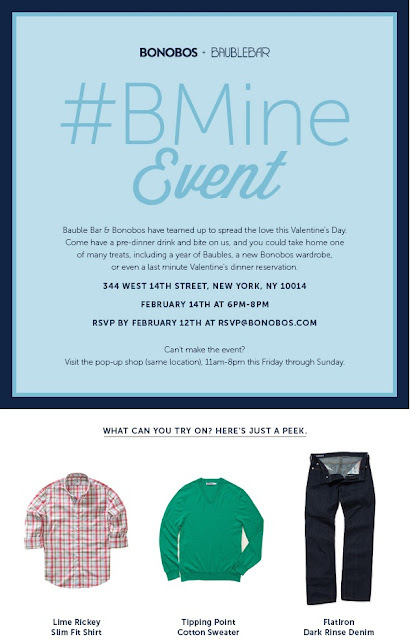 From this Thursday - Sunday Bonobos is bringing their great service offline at Bauble Bar's Pop-up shop so that guys can try on the brand in-person. 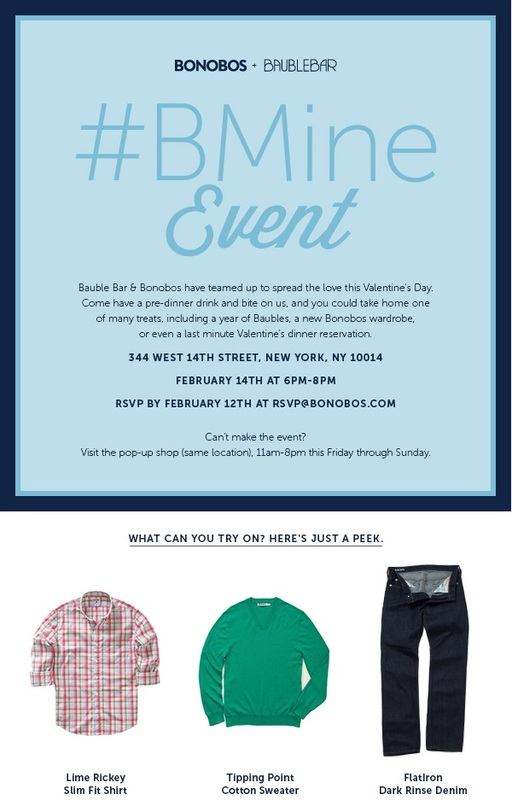 Manning the pop-up are Bonobos Guides, experts trained in fit and style, that will be on site to help men find their size, answer questions about Bonobos product and help place your orders on the popular website.